There is something to be said about being in the safety of the arms of the one you love. It’s a hold that fiercely embraces you, daring one to step between. In it, you not only find love but you feel the truth of all this person’s emotions toward you. You are secured. You are established. Nothing can tear you away from the warmth and protection you feel at this moment. And yet, as most movies and books go, there comes the drama. In the drama comes the reason for departure. The part of the story that makes you wonder, “Will they ever be united again? Will they ever really know how one another feels?” It’s a typical storyline, but I must admit I never tire of it. In those stories, not until the two parties separate do they realize just how much they needed the other. All of a sudden, the love they felt for one another reignites and in a desperate attempt to save the relationship, somehow, someway, they run back to the safety of each other’s arms where they can rebuild upon the love that was once felt. Can I tell you something? God has never fallen out of love with you! As a matter of fact, He has done everything possible to try to keep you safely in His arms where He can take care of you and love on you. Yet, and still, the drama unfolds that leads the heart of man away to run after their own pursuits. What then of the love that God felt for you? It’s still there! His love has never left just because we did. His love has never stopped embracing even when we didn’t return the embrace. His love has always been on fire for you and me, even when we tried to extinguish it. His love never quits seeking reconciliation because He wants us with Him! This was the truth that He was trying to get across through the prophet Jeremiah. Jeremiah’s job was to relate to the people of Israel God’s undying passion for them. He tried to convince them that the drama of going their own way wasn’t worth it. Life would be so much better if they would stay where love could keep them and care for them. But, unfortunately, as mankind does, they thought they knew what was best. Love was not on their mind at that moment. As most stories play out, they couldn’t see past what they thought they wanted. As the movies go, so did it with Israel. The pleas go unanswered. He has no choice but to let His loved ones go, hoping that one day they will come to their senses and return. 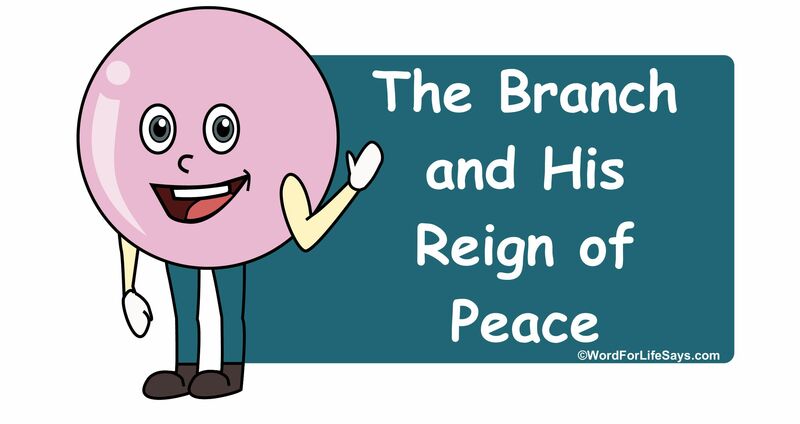 To make a long story short, Israel had to be let go for several decades before they would come to truly appreciate the love that God has for them. Don’t let the same be said of us today. God is still waiting with opened arms. 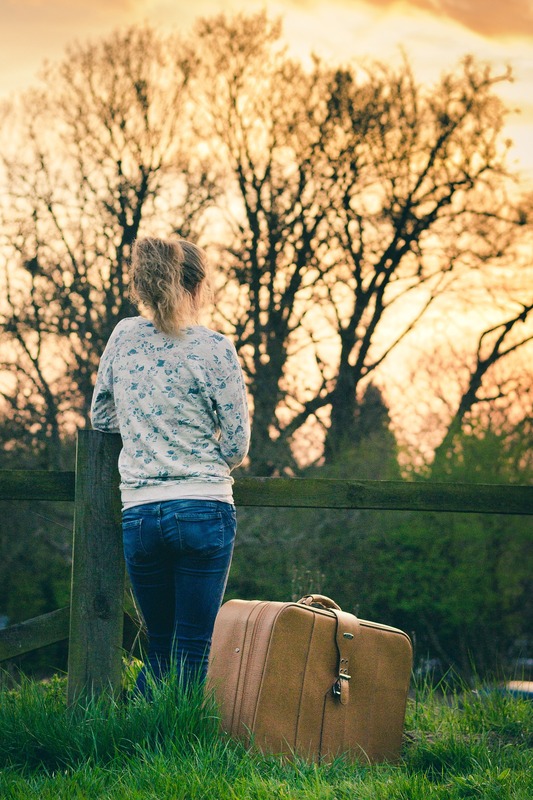 If we have not held on as tightly as we should – return. If some other thing or person has attracted our desires more – return. If we have turned a deaf ear to the pleas of love – return. If we have refused the grace of His embrace – run back and return to those arms of love. God promises when you wholeheartedly return to Him and put away all that other stuff that is not like Him, “then shalt thou not remove.” Why? Because now you are safely snuggled where you belong. You are in the place of promise and His promise is this, “But the Lord is faithful, who shall stablish you, and keep you from evil,” (2 Thessalonians 3:3). 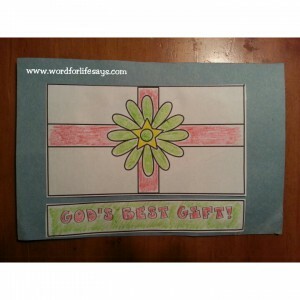 Faithful, established, and guarded – wow! That’s what He does for the one who stays in His arms of love. God is crying out. Don’t let those cries go unanswered. Return today! 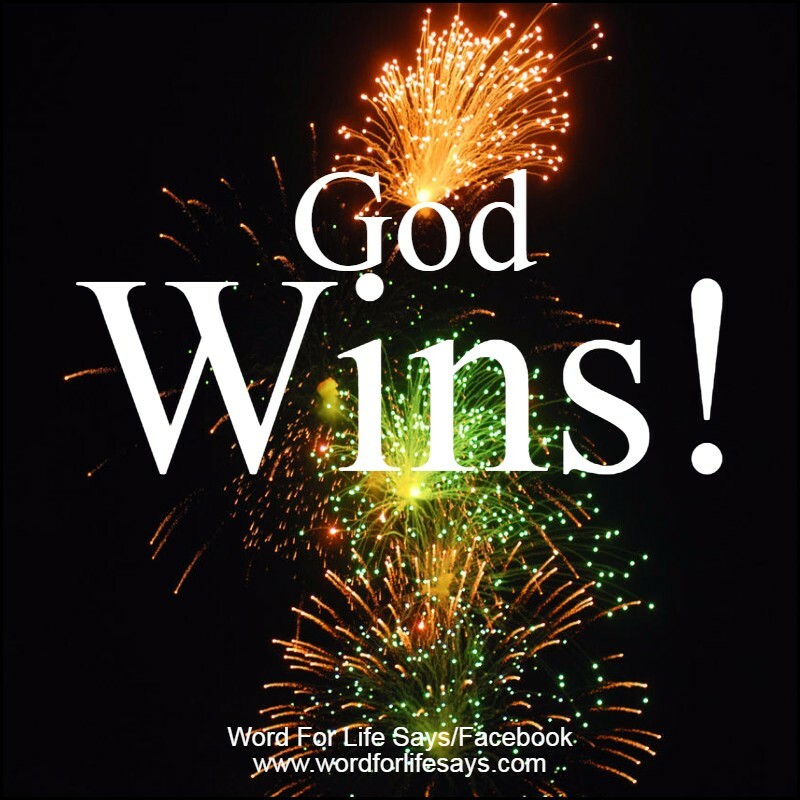 Here’s a little encouragement for your day: “God fights for His people, and He wins!” I don’t know what battle you are in or the seemingly impossible situation you may be facing, but our God is a victorious God. He has never failed and He has never lost a battle. And, He won’t start now. “There is no wisdom or understanding or counsel against the LORD. The horse is prepared for the day of battle, but deliverance is of the LORD,” (Proverbs 21:30-31, NKJV). God’s track record doesn’t have marks on it to say that He wasn’t able to accomplish this task or that. As a matter of fact, the Bible states that He is, “able to do exceeding abundantly above all that we ask or think, according to the power that worketh in us,” (Ephesians 3:20). What that means is the very thing you are praying for; the very struggle you are contending with is nothing for God to handle. He can do that and more! Sometimes I don’t think we really understand the scope of God’s power and strength. Our God is mighty! Oh, we are used to quoting it and singing about it but do we really understand the strength behind it. For instance, when Elisha and the city he was in were faced with a multitude of warriors on horses and chariots, he was not moved. In fact, he told his servant, “Fear not: for they that be with us are more than they that be with them,” (2 Kings 6:16). After that, he prayed, “LORD, I pray thee, open his eyes, that he may see. And the LORD opened the eyes of the young man; and he saw: and behold, the mountain was full of horses and chariots of fire round about Elisha,” (2 Kings 6:17). There is no might that can stand against God’s might. There is no earthly or spiritual force that can contend with His awesomeness. God is surrounding His people even when we don’t see it. God is fighting for His people even when we don’t feel it. God is defending His people even when it looks like all odds are against us. Nothing can hold God back from victory. Nothing can stand in the way of the will He wants to accomplish in your life. God is an enemy defeater (Deuteronomy 23:14). When He rises, the enemies scatter (Numbers 10:35). He said in Jeremiah, “Behold, I am the LORD, the God of all flesh: is there any thing too hard for me?” (32:27). Your battle is not too much for God to handle. He has fought wars for His people down through the ages and He still stands as our defender and our confidence, today. I pray, that our eyes of faith be opened today, that we see Him as Elisha did. With hearts of faith, that we see our God standing and fighting for the cause of His people. God has not left us to battle in this world alone. “The LORD thy God in the midst of thee is mighty; he will save, he will rejoice over thee with joy; he will rest in his love, he will joy over thee with singing,” (Zephaniah 3:17). Even if it doesn’t seem to be coming together as we may envision, hold on to hope. God may have something else in mind. At the same time, remember you are not in this alone. You do have a defender who has never lost, but wins! Christmastime, as they say, is the most wonderful time of the year. Christmastime often brings with it sweet thoughts and times of reminiscing with loved ones over the years past. There’s a celebration of joy in the atmosphere that isn’t felt as prominently during other times of the year. But, I’m here to tell you that Christmastime is so much more than an emotional response to a holiday and family. It’s more than the gathering of sweet fellowship and food. Christmastime is a declaration of all God has wanted to do for mankind since the time He created him. It’s the time we celebrate God’s love on display in holy determination to have that relationship with man that He so desired. Christmastime is a celebration of the healing. There was a rift that was torn by sin between God and man – now it comes together in an era of reconciliation and peace. 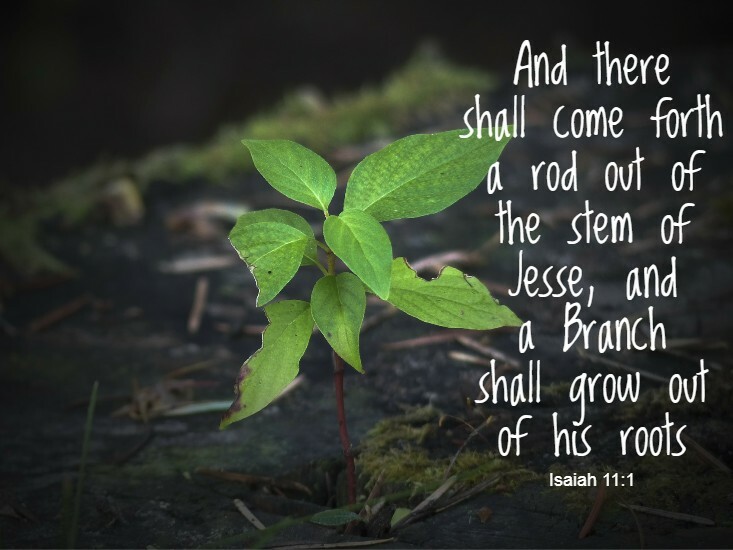 Isaiah prophesies of the means by which God ushers this in. He said, “For unto us a child is born, unto us a son is given: and the government shall be upon his shoulder: and his name shall be called Wonderful, Counseller, The mighty God, The everlasting Father, The Prince of Peace,” (Isaiah 9:6). 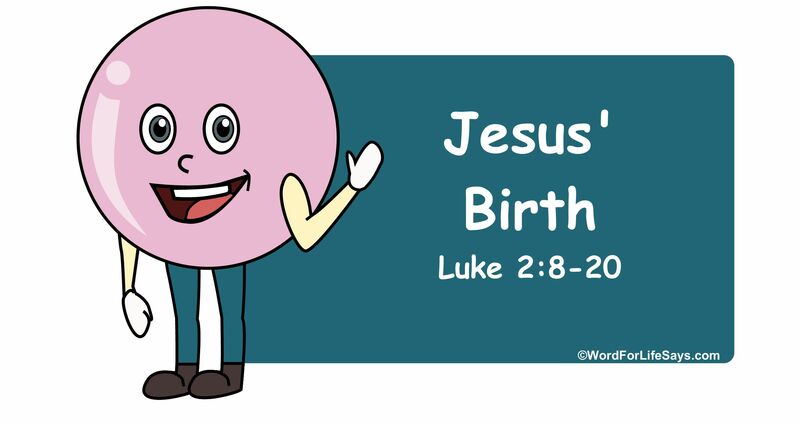 This is the very foundation of the Christmas story. Matthew picks it up and tells us in the New Testament,” And she shall bring forth a son, and thou shalt call his name JESUS: for he shall save his people from their sins,” (1:21). Mankind had fallen short of the glory of God, but this little baby had an assignment on His life to save people from their sins! Down forty-two generations He traveled (Matthew 1:1-17) to be with us. That’s why the carols ring out, “Veiled in flesh the God-head see; Hail the incarnate Deity, Pleased as man with men to dwell, Jesus, our Emmanuel,” (Hark! The Harold Angels Sing – Charles Wesley). He was that “Word was made flesh, and dwelt among us, (and we beheld his glory, the glory as of the only begotten of the Father,) full of grace and truth,” (John 1:14). That’s why Luke lets us know, “He shall be great, and shall be called the Son of the Highest: and the Lord God shall give unto him the throne of his father David: And he shall reign over the house of Jacob for ever; and of his kingdom there shall be no end,” (Luke 1:32-33). This is what the Christmas story is all about. Joy to the world – He came! The Bible declares, “And she brought forth her firstborn son, and wrapped him in swaddling clothes, and laid him in a manger; because there was no room for them in the inn,” (Luke 2:7). 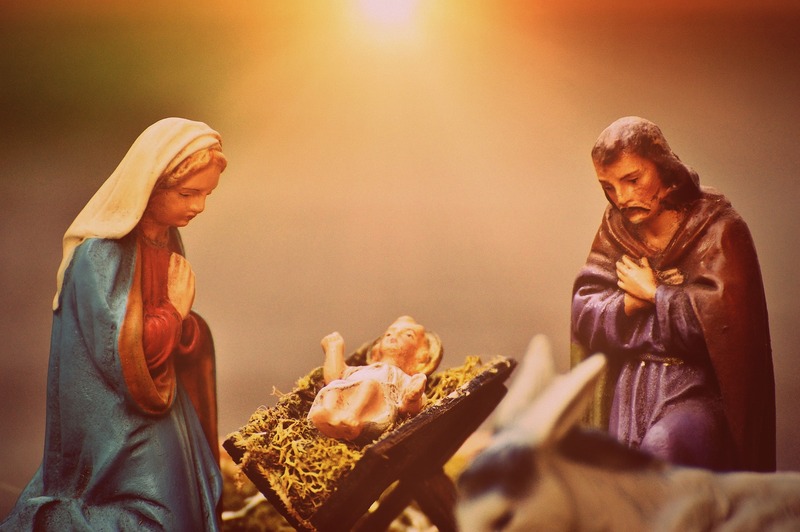 He was shunned by the world with no one to care other than Mary and Joseph. Nonetheless, He came! The angels proclaimed that night, “For unto you is born this day in the city of David a Saviour, which is Christ the Lord,” (Luke 2:11). The deliverance of all mankind made His way into the world. God’s plan of salvation broke through the flesh of humanity to rescue in the Spirit. 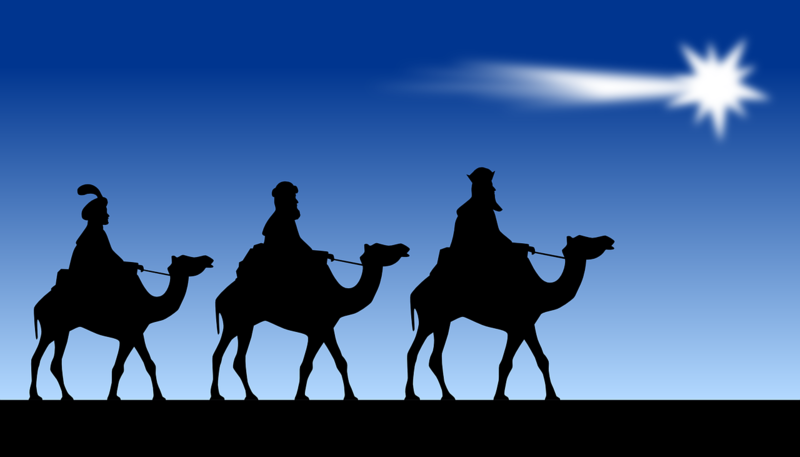 Joy to the world – He came! God incarnate manifested Himself in the humility of man. He stepped off His throne in glory to dwell with a sinner like me. He pulled off His royal attire to associate with the filthy dregs of this life. Christmastime we celebrate His birth; we rejoice in His coming. But, that’s not the end of the Christmas story. He came once so that He could come back again. The first time He came He was encapsulated in His mother’s womb, riding on a donkey toward Bethlehem to be born. But, the true end of the Christmas story is the next time you see Him, He won’t be that same baby from the womb riding with His mama on a donkey. He’ll be standing in the air riding the clouds of heaven. The first time He came He was wrapped in swaddling clothes. The next time you see Him, He will stand before you as the King who broke free from the grave clothes that tried to bind Him, gaining the victory over the grave; gaining the victory over sin and death. 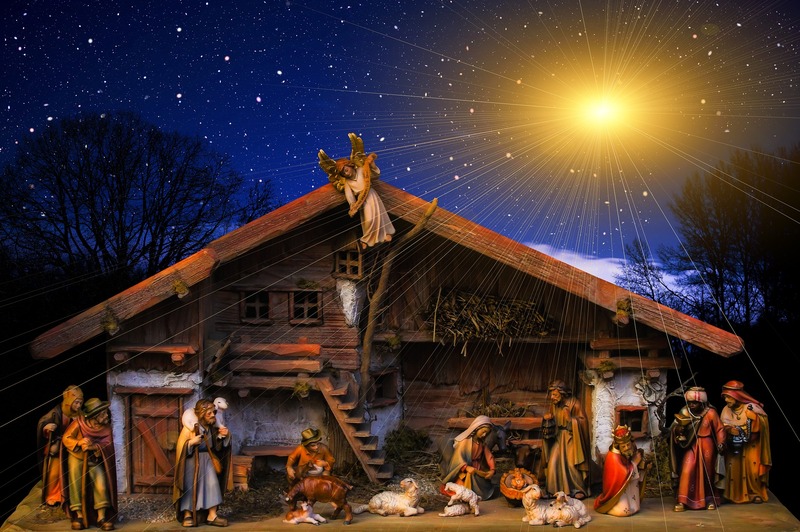 The first time He came only a few lowly shepherds and a few little wise men came to honor Him and pay tribute to the miracle that occurred on that night. The next time you see Him, “Every knee should bow, of things in heaven, and things in earth, and things under the earth; And that every tongue should confess that Jesus Christ is Lord, to the glory of God the Father,” (Philippians 2:10-11). That same baby they ignored. That same baby they refused to find room for, their mouths are going to open and declare that HE IS LORD! 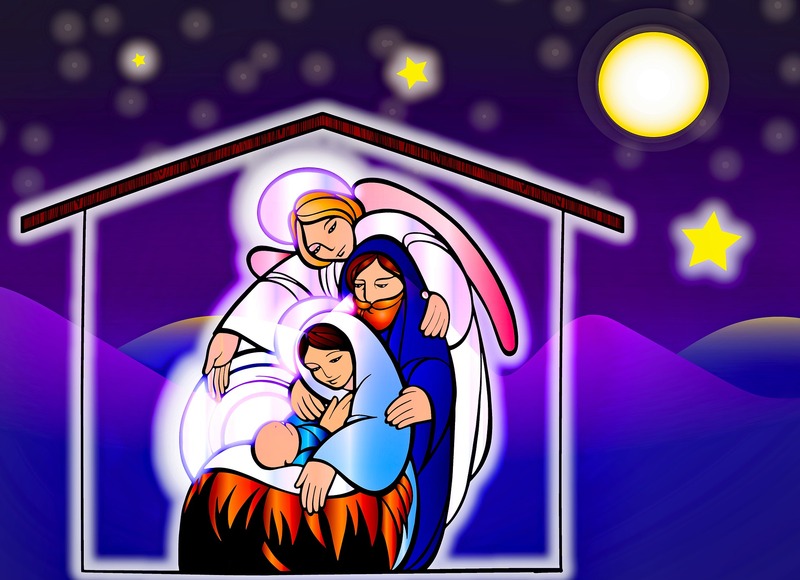 We celebrate the Christmas story as the ultimate gift of God’s love toward humanity. “For God so loved the world, that he gave his only begotten Son, that whosoever believeth in him should not perish, but have everlasting life,” (John 3:16). But, the Christmas story is more than the celebration that He came. It stands as a reminder every year that if He came once as He said He would, then He’s coming back – just like He said He would! We love this time of year. There’s no greater feeling than the fellowship and gifts of love shared. But, once the gifts are unwrapped and once the food is eaten and people return to their homes; let the Christmas story remind you, the King came once, and the King will return once again. Joy to the World – He came. And, He’s coming back again. That’s the true end of the Christmas story. At the writing of Matthew 2:5-6, over 700 years have gone by since the Old Testament prophet Micah told of a Ruler that would be birthed out of this little town of Bethlehem (Micah 5:2-3). While over those centuries of waiting, countless babies have entered this world and linked the beginning of their lives to this motherland, only One’s heritage can connect the dots with those long ago words that herald the coming of the Savior of the world. He would be the freedom the world has longingly yearned for. He would be the peace, souls since the beginning of time, have dreamt about. 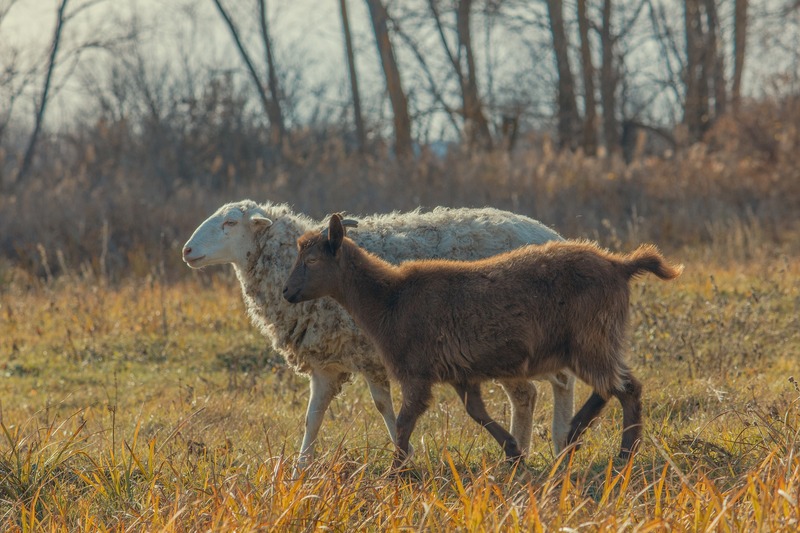 He would be the Shepherd who would not lead with a rod or a staff, but with His life. This blessed Babe of Bethlehem would be the all eternal One, whose days are from everlasting (Micah 5:). He would be the Babe seen as He “who is, and who was, and which is to come, the Almighty,” (Revelation 1:8), and He would change everything the world once knew. No wonder hearts were stirred. No wonder souls were searching with excitement. No wonder kingdoms were in a ruckus. The Babe of Bethlehem was no ordinary babe. 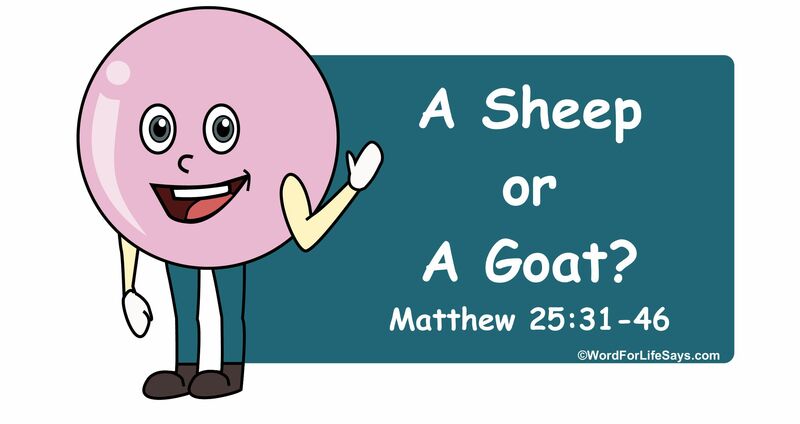 He was God incarnate, God in the flesh, “God with us,” (Matthew 1:23). The imperfect people born in this world would need the help of that perfect Savior born in Bethlehem. The celebration of Christmas is the celebration of that precious Babe who had finally arrived in the world to bring this long-awaited hope. He that was born as the prophesied Messiah would lift the judgment of condemnation for those who not only seek Him, but find Him. And, they are no longer content to have Him wrapped in swaddling clothes, but their soul’s desire is to wrap Him in their hearts. The news that Mary received that she would be the carrier of God’s plan of salvation was phenomenal, to say the least. One could even say that it all may have been a bit overwhelming. After all, this would be the actual Son of God in her body and the angel Gabriel told her some pretty awesome stuff concerning Him. Upon hearing it all and taking it in – she accepted the calling of God on her life and yielded, literally, her body as a sacrifice. Still, one can imagine questions rolling around in her mind. If our minds get blown away at the little special stuff God does for us here and there, I can’t help but think Mary may have been a little taken aback of the whole scene before her and the future that lay up ahead. Not once did she ever ask for a sign but as the scene of today’s lesson unfolds God gives her one. Miraculously and mysteriously God peels back what people could not have known except by divine revelation and confirms not only the promise to her but His plan of salvation to the world. These verses pick up immediately after the angel Gabriel departed from speaking with Mary God’s plans and promise for her life, and the life of the Child she was to carry. Perhaps it was one of those “I just have to see Elisabeth” moments after all she heard. Regardless of the reason, we do know that it was with “haste” that she was compelled to go. Immediately, without hesitation, she wanted to be where Elisabeth was. God was doing an unexpected thing in her life and she possibly wanted to connect with the other name Gabriel gave her in relation to this great miracle. So…, long ago, in a hill far away, Mary went. It almost reads like a fairy tale, but the story herein is very true and worthy to be learned and appreciated for the intricacies of details God weaves through their lives and the history of our salvation as well to bring about His promise for mankind. “And entered into the house of Zacharias, and saluted Elisabeth.” Upon arriving at her destination at the house where Elisabeth dwelt with her now mute husband, Zacharias, Mary entered and greeted her according to custom. 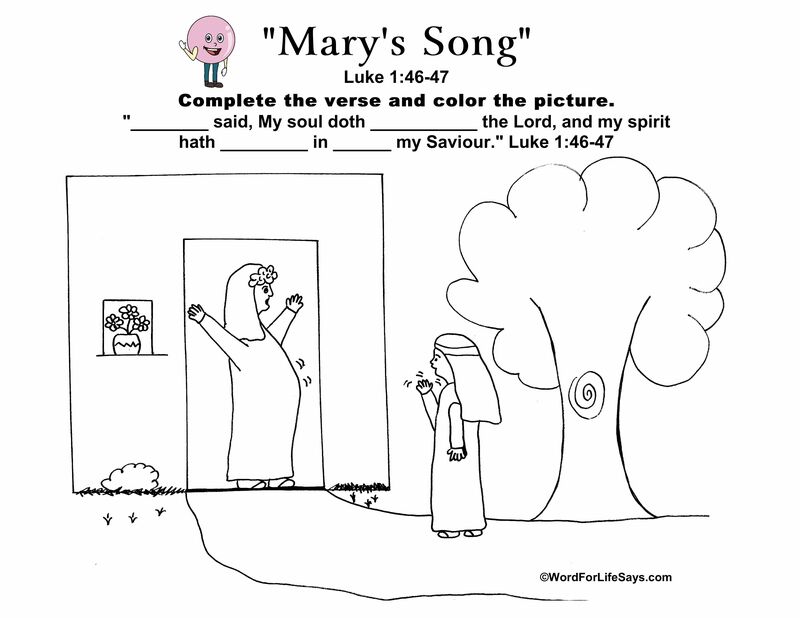 The words of Mary’s greeting aren’t recorded, but the response by Elisabeth and what happens after is. “When Elisabeth heard the salutation of Mary, the babe leaped in her womb.” When Mary’s greeting reached the ears of her cousin God phenomenally made His way known during what seemed to be a very normal and customary interaction between two people. Please Note: Babies in a womb have an amazing connection to their own mother’s voice and maybe even dads. But, rarely will they react in such a strong way to a voice they have never heard. This makes the baby’s reaction all the more powerful and a reason to take note. The baby, later to be known as John the Baptist, was filled with the Holy Ghost at this time fulfilling a promise as well (see Luke 1:15). 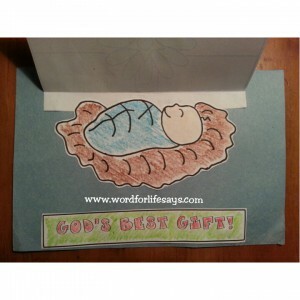 God used an unborn child to spiritually testify of the work He was doing. Awesome! Can I give you something to try to associate this feeling with? Imagine someone knocking on your door one day to give you the best news possible. Maybe you are one of those famous sweepstakes winners and all your financial needs would be forever taken care of. Or, perhaps someone announced that you are a long-lost relative of someone who has left you an extraordinary inheritance. Maybe that knock brings a lost love home again for which the joy felt can’t be measured in dollars and cents. Any one of these events would practically leave us in joyful tears and simply awestruck at what is happening. I can imagine the same “I can’t believe it!” joy being felt by Elisabeth at the sounding of sweet Mary’s voice. Mary and Elisabeth were no longer just cousins of the flesh, but they were sisters in the Spirit because God was working mightily through both. Continuing to be moved by the Spirit of God, Elisabeth’s voice rang out in exuberant praise, declaring, “Blessed art thou among women, and blessed is the fruit of thy womb.” When Gabriel appeared to Mary, he too used words like “highly favoured” and called her “blessed” (Luke 1:28). Her life would become extraordinarily different from women everywhere and in every era. There wasn’t then, and would never be, another woman like her in the entire world or the world’s history who was called to do what she did. She was “blessed.” And Elisabeth’s declaration: “blessed is the fruit of thy womb,” (even though Mary was nowhere near showing at this time to give the outward appearance of pregnancy) means that she [Elisabeth] was speaking directly in reference to the miracle that God has performed in her [Mary’s] life. In an age where instant notifications, emails, text, Facebook, and the like didn’t exist, as quickly as these events unfolded there appears to be no prior knowledge of Mary’s pregnant condition before the infilling of the Holy Ghost. God revealed this to Elisabeth and Elisabeth sang out in praise declaring how special she [Mary] is because of the babe [the fruit of the womb] that is inside of her. Still a little awestruck at the greatness of all that is transpiring before her, Elisabeth continues, saying, “Whence is this to me, that the mother of my Lord should come to me?” Immediately, without any questioning of detail or such, she knew that Mary was the “mother of my Lord.” What a declaration for Mary to hear! In the very near future, when word got out about her pregnancy, she would hear, I’m sure what I assume to be a myriad of hateful and hurtful remarks. But for now, I can imagine Mary letting Elisabeth’s words wrap around her as a warm hug confirming what God is doing in her life. Elisabeth goes on to tell Mary of the reaction her own babe had at the hearing of her voice: “Lo, as soon as the voice of thy salutation sounded in mine ears, the babe leaped in my womb for joy.” Inspired by the Spirit of God, Elisabeth not only felt the baby physically leap but inwardly she knew the reason was for “joy.” The forerunner of Christ was already getting happy and testifying to the greatness that was to come through Him. Ringing out these Holy Ghost inspired words, Elisabeth continues to say, “Blessed is she that believes.” That’s a powerful statement. It not only testifies to Mary’s confident acceptance of what God was doing through her, but it also shows how much faith must play a key role in anything God calls anyone to do. Hebrews 11:1 reminds us, “Now faith is the substance of things hoped for, the evidence of things not seen.” One’s faith is important for without it we are told it is impossible to please God (see Hebrews 11:6). As scary as this situation was for Mary, she got on board with God’s plan without knowing everything that would unfold in her future. Because of that, “there shall be a performance of those things which were told her from the Lord.” Mary accepted in faith, and Elisabeth declared that God was moving on her behalf. God has never failed to follow through with His promises. He speaks them. Here it is confirmed. And, it shall come to pass. Other areas of the Bible remind us of this great truth, saying, “For I am the LORD: I will speak, and the word that I shall speak shall come to pass…” (Ezekiel 12:25; see also Psalm 111:7). In response, Mary’s soul joins in with rejoicing! “My soul doth magnify the Lord.” What God revealed to her through Gabriel and confirmed through Elisabeth is nothing short of AWESOME! It goes beyond the concept of human thinking and understanding and takes you to a realm of the way He thinks and operates. It beckons one to step out into the unknown with a life and a heart of total trust. 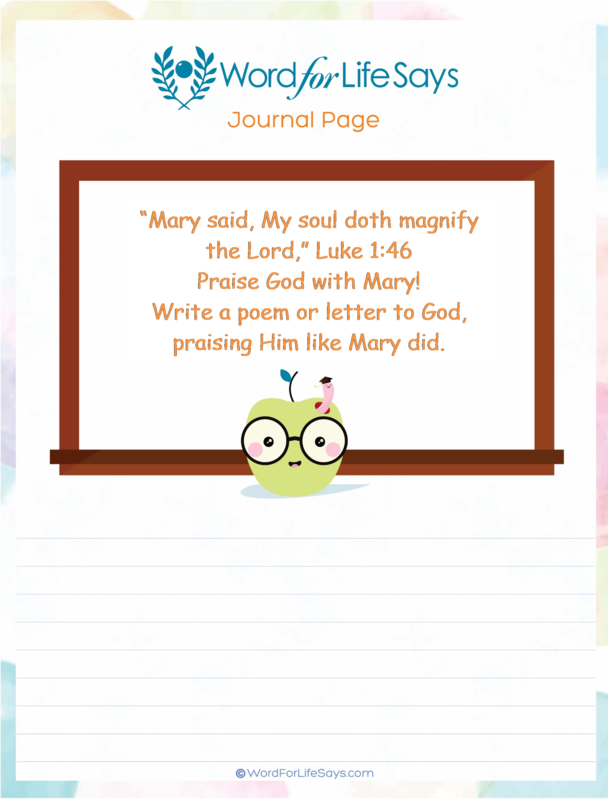 How else is Mary to respond except to say, “My soul doth magnify the Lord?” God was about a great work (as He always is). For centuries they have longed for the promise of the Messiah to be fulfilled. Generations have laid up their hopes in store for this great day. Mary’s soul can’t help it but praise God. She knew before anyone else that God was ready to do a great kingdom shift. She is rejoicing because that time is finally at hand for the long-awaited promise to come to pass and she is to be personally involved. Thus, she was moved to “magnify the Lord.” We use the word “magnify” to mean to enlarge. We can’t make God bigger than He already is. 1 Kings 8:27 declare, “The heaven of heavens cannot contain thee.” But we can exalt and praise Him – we can lift His name up at the joy of what He is doing in the lives of His people. We can make our praise of Him grow and grow until it affects the lives of those around us. Through our worship, we can’t help but to enlarge His territory and gain back spiritual ground in the lives of those who witness what God is doing in us. “God my Saviour.” This is all about Him and what He is doing. Man cannot save himself. Man does not have the means to secure permanent deliverance from sin for himself. Try as he might, it just won’t work. Her people were under the tyranny of Herod and whoever else decided to put their hands in the pot of affliction over them. Worse than that, despite laws and sacrifices, the tyranny of sin still permeated the world and had mankind shackled in its bonds. “For he hath regarded the low estate of his handmaiden.” Who are you to those who see you every day? Are you known as mom or dad, sister or brother? Are you just that church member who sits on the end of pew five from the front? Or, are you just that neighbor down the street? Who are you to those at work or to those who see you drop off the kids at school? How do people identify you? Are you just a passing thought to most or do people “regard” you? Do people take notice of you and your life? Mary, when she woke up that morning before Gabriel spoke to her, she just saw herself as Mary; nothing more, nothing less. She was just one in a group of young women who lived in her town of Nazareth. Yet, the whole time God “regarded” her. God had His eyes on her for something bigger and better in life and she didn’t even know it. “He hath regarded the low estate of his handmaiden.” In a spirit of humility, she may have viewed herself as nobody and her humble surroundings would suggest it as well, but she was somebody God paid attention to. “From henceforth all generations shall call me blessed.” God is big on remembering those who submit in obedience to His will and allow themselves to be used by Him. “He is a rewarder of them that diligently seek him,” (Heb. 11:6). Jesus told His disciples one day after Mary (not the Mary from today’s lesson) anoints Him with the oil from the alabaster box, “Wheresoever this gospel shall be preached throughout the whole world, this also that she hath done shall be spoken of for a memorial of her.” People are going to remember her. With the Mary of today’s lesson, the one that would bear the Son of God, people are going to do more than just remember her, they “shall call me blessed.” She will forever be linked to the greatest miracle God has ever done and considered “blessed” to be a part of it. 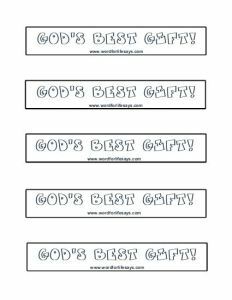 “For he that is mighty hath done to me great things; and holy is his name.” How often has God moved in the life of one to bless and bring about “great things” to only have them take credit for it or attribute it to another? Mary didn’t do that. She recognized that God is the “mighty” One and He was the One that was performing these “great things” in her life. 1 Samuel reminds us, “For them that honour me I will honour,” (2:30). She honored God and attributed glory to His name for His mighty hand in her life. When God moves in your life; when God does the impossible if, at no other time, one ought to especially then recognize His holiness, His power, His uniqueness in it all and praise Him for it! “And his mercy is on them that fear him from generation to generation.” I have a lot of favorite psalms but by far one of my top favorites is Psalm 118. This is one I cling to and often go back to for times when I need encouragement. It starts off giving a brief history of the goodness of God in the life of His people because “his mercy endureth forever.” Then, this beautiful psalm moves to an even more beautiful declaration of God’s promises for those who put their trust in Him. There is not a verse in this Psalm that I don’t like. It even ends with another, “For his mercy endureth for ever,” (Ps. 118:29). Mary recognized God’s hand of mercy over “them that fear him from generation to generation.” Psalm 103:17 tells us, “But the mercy of the LORD is from everlasting to everlasting upon them that fear him, and his righteousness unto children’s children.” Both verses express the unending mercy of God. God promised David through Nathan the prophet, speaking of his descendants, saying, “I will be his father, and he shall be my son. If he commit iniquity, I will chasten him with the road of men, and with the stripes of the children of men: But my mercy shall not depart away from him, as I took it from Saul, whom I put away before thee,” (2 Sam. 7:14-15). “He hath shewed strength with his arm.” When God has a plan, He shows up in the full strength of His power to accomplish it. God is omnipotent. There is nothing that He can’t do. There is none who can subdue or usurp His power. That’s why we are encouraged to, “Seek the LORD and his strength, seek his face continually,” (1 Chron. 16:11), because God’s strength is unmatched in power and authority. In His strength, He “scattered the proud in the imagination of their hearts… he put down the mighty from their seats… the rich he hath sent empty away.” He made them broke, busted and disgusted! Those that should have had no lack; those that should have been top of their game; God humbled them and removed them. Why? Because they lived in reliance on their own power and ability. They lived a life of pride; a life in opposition to God. Therefore, “God resisteth the proud, but giveth grace unto the humble.” (James 4:6). God flips the script and He “exalted them of low degree” and “He hath filled the hungry with good things…” God lifts up and blesses the lowly of this world such as His people Israel. “Though the LORD be high, yet hath he respect unto the lowly,” (Ps. 138:6). It was the lowly, the unassuming and the unexpected course that God would use to usher in the reign of the Messiah. From the choosing of a young woman from Nazareth to His lowly birth and being “laid… in a manager,” (Lk. 2:7); all was done without pomp and circumstance to bring forth the Savior of the world. “He hath holpen his servant Israel.” God has been a constant source for His people “Israel.” They were a people of promise. They were a people who would be an example to other nations (Deut. 4:6-8). They were a people through whom we would be blessed also. “And the scripture, foreseeing that God would justify the heathen through faith, preached before the gospel unto Abraham, saying, In thee shall all nations be blessed,” (Gal. 3:8, see also Luke 1:55 (today’s lesson); Gen. 12:3). He remembered “his mercy” despite their failings and short-comings. God has helped Israel and stood by Israel’s side for them to be the people they were called to be. Mary, we are assuming, stayed with Elisabeth up until the time of her giving birth to John. Gabriel came to her in the sixth month (Luke 1:26), and here we are told she “abode with her about three months” which would equal out to the normal time for pregnancy to be completed. Then, she “returned to her own house.” After which, verse 57 (not in today’s lesson), tells us of the birth of John. This time of the year we are doing a lot of singing right along with Mary. We are magnifying God in the Christmas songs that we sing. What better way to Magnify God than to sing of the birth of His Son. 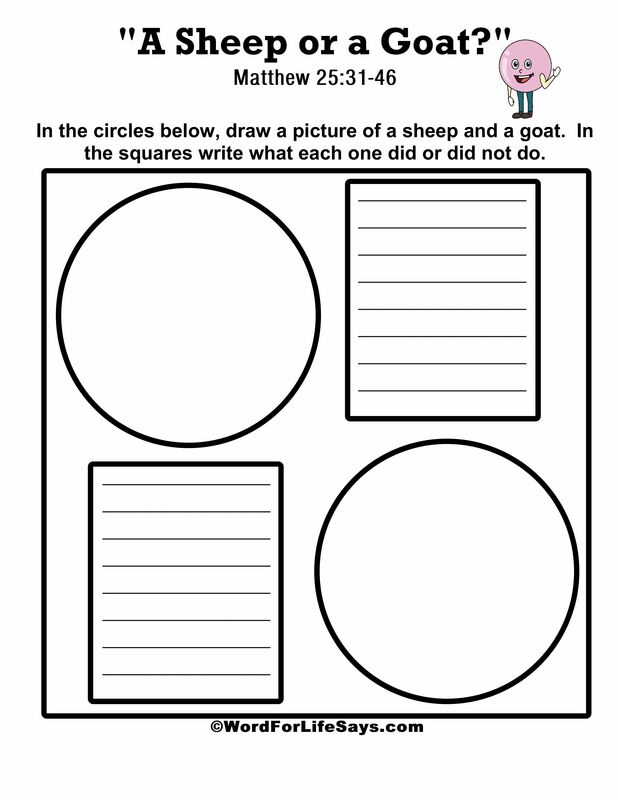 Below you will find several candle activities that children can easily do. 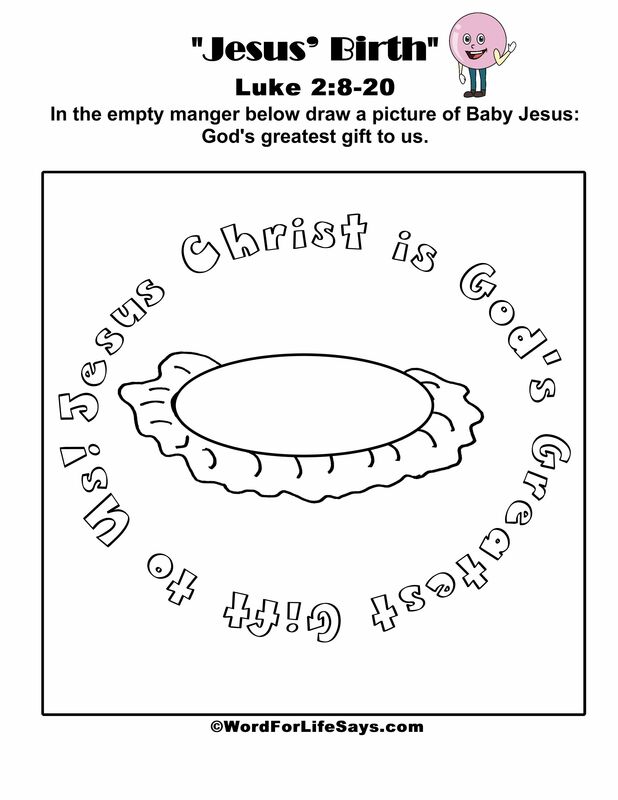 Children can use these “candles” as they carol and sing of the praises of God. Enjoy! 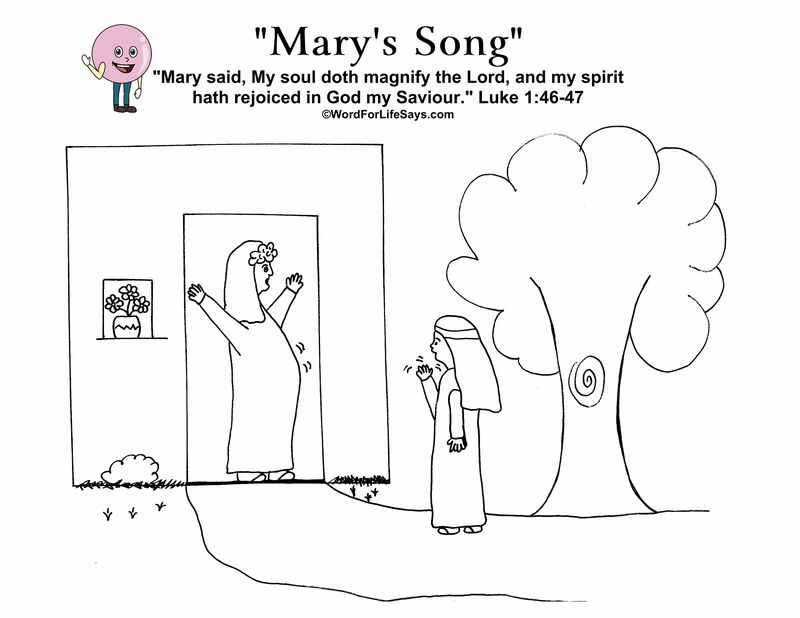 Below is another way we can celebrate this lesson and sing and Magnify God as Mary did using printable songbooks. Simply keep the song you want and omit those you don’t. Enjoy! 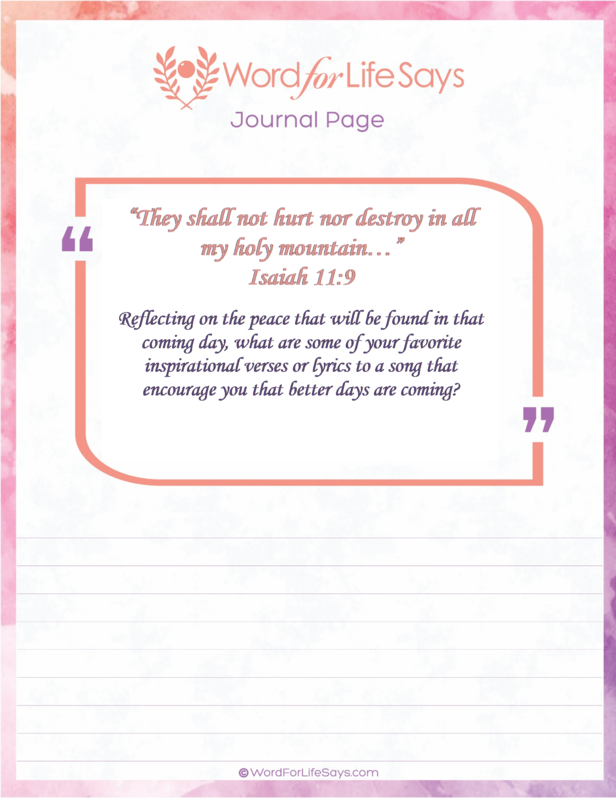 One great and easy idea is to make your own songbooks for students. 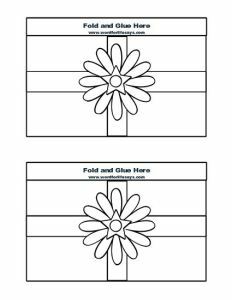 Simply fold construction paper in half and use blank white sheets or song lyrics in the middle. 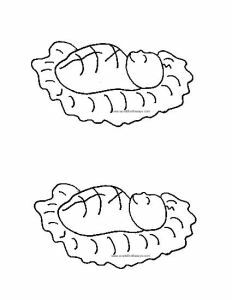 On the outside cover attach this music coloring sheet or any that you wish to decorate your book. There you have it. Enjoy!